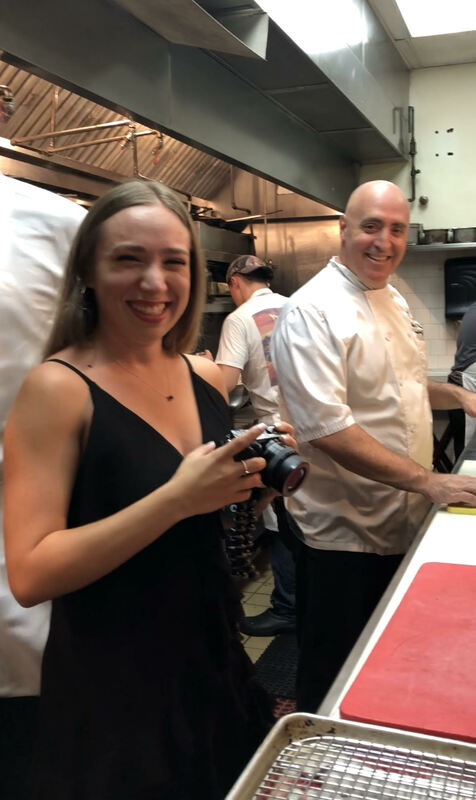 Thanks to South Beach Seafood Week, I (Lauren from Fluent in Food) had the incredible opportunity to do my first interview with Chef Peter Vauthy of Red, the Steakhouse. Red, the Steakhouse is a classy, upscale restaurant that sits in the heart of South Beach. If you’re looking for prime, tender steak and fresh, juicy seafood, look no further. I had the opportunity to go in the kitchen for an inside look at what Chef Peter would be serving at Miami’s best Seafood Festival and now you get to find out too! First, he pulled out a GIANT lobster tail, cut it in half, and scooped the succulent meat out of the shell. He then seasoned it (secret recipe) and tossed the whole thing into the fryer. 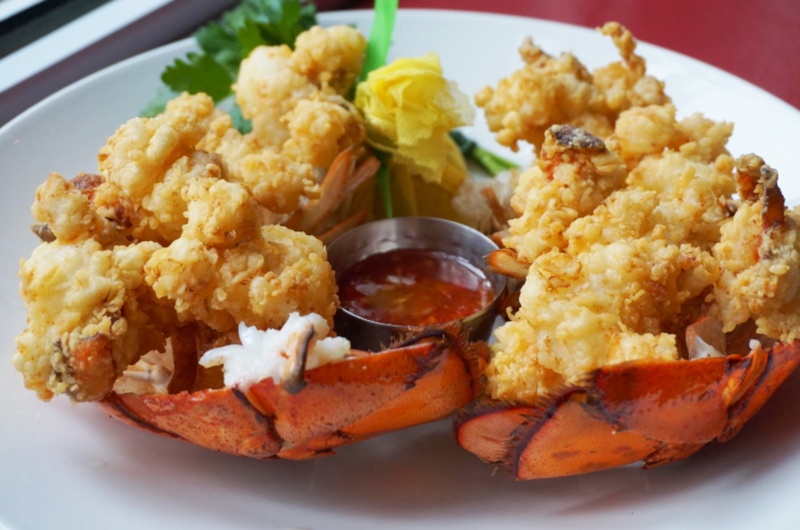 The end result was a lightly fried, juicy lobster dish. I cannot wait to get my hands on some more at the South Beach Seafood Festival on October 20th! Use my code FLUENTINFOOD to save 20% now! You know I couldn’t leave Red without trying a steak. Call it a desire for Surf n’ Turf! Chef Peter brought out a filet mignon and explained that they always use the freshest and best ingredients. He uses the top 1% of USDA Prime meat and imports his lobster from Maine. After trying so many incredible dishes that I nearly fell into a food coma, it was time for Q&A with Chef Peter. I learned that Chef Peter became a chef “the long way.” Growing up in a multi-generational household, he was exposed to his great grandmother’s and great aunt’s Italian cooking. He never thought of becoming a chef until much later. 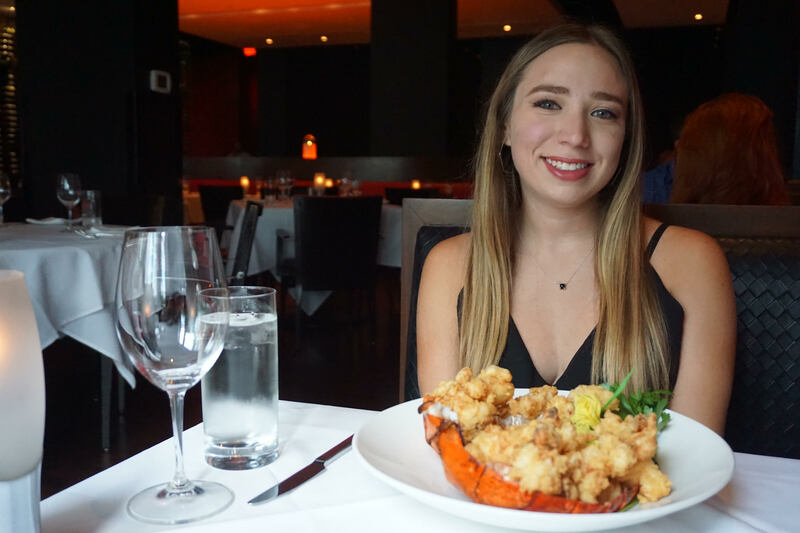 How does a steakhouse fit in with seafood and the South Beach Seafood Festival? 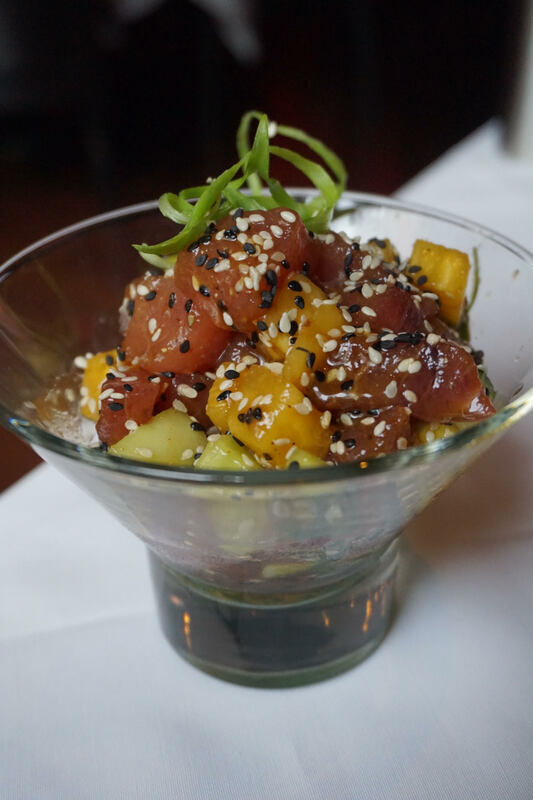 Since Chef Peter grew up by the water, he knows fresh seafood. He uses “fishmongers” that delivered fresh catches daily! He’s been working with the South Beach Seafood Festival since it started six years ago. Chef loves this week of events, and for the first time he will be judging the Chef Showdown on Friday night! If you can’t tell, I am really excited to hit the sand on October 20th and enjoy more of Chef’s cooking! I hope you’ll join me! Use our code FLUENTINFOOD to save 20% on your tickets!